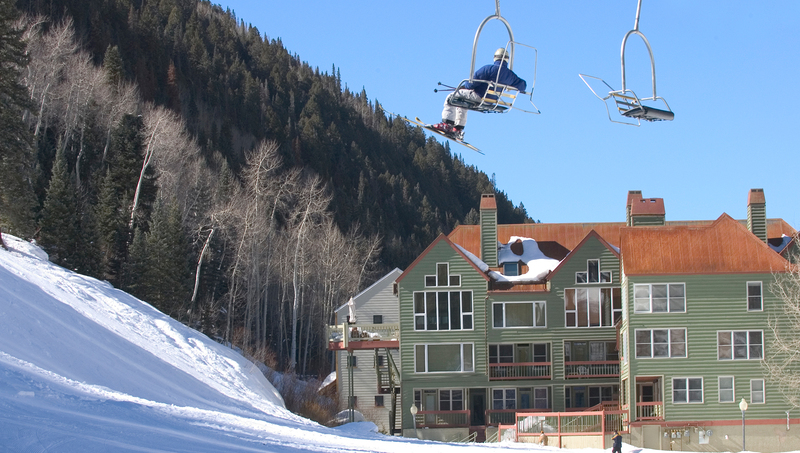 Etta Place One is located at the very base of The Coonskin Lift, Lift #7, a true ski in/out complex on the west end of Telluride. There is a complex garage and common hot tub on site. A Galloping Goose shuttle stop is just steps away making shopping and dining easily accessible. This one bedroom condo offers unobstructed views of Ajax, Ingram Falls, and the town side of the Ski Resort. Bedding: Queen bed, queen sofa sleeper. You walk in the entrance of this ground floor condo from the common patio area, into the living room where there is a sofa sleeper and 30 inch TV w/DVD, stereo. The neat little kitchen is fully equipped with a breakfast bar that seats 4. In the bedroom is a queen bed, TV w/VCR. The bathroom is nicely remodeled in 2009, with a shower only. It is a ski-in/ski-out complex. Please note that this condo has NO DESIGNATED PARKING. A parking permit will be provided for one vehicle in the Shandoka parking lot on a first come, first serve basis. 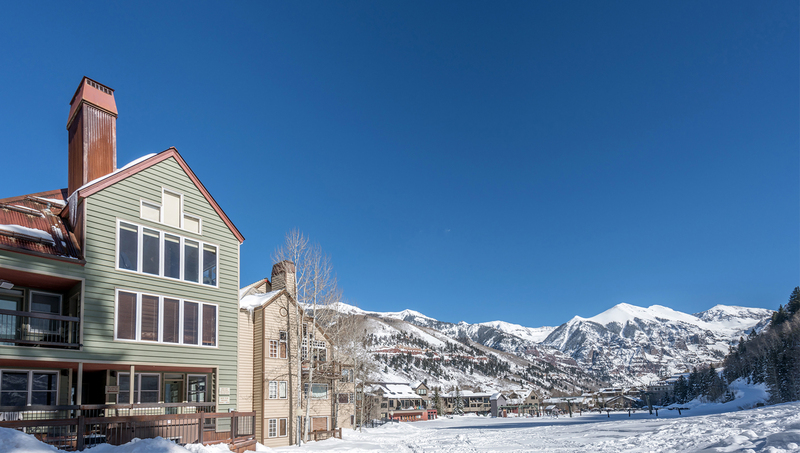 Additional parking is available at the Mountain Village Gondola Parking Garage, located behind town hall, for $25 per night. Additional parking is available in the Heritage Parking Garage located off Mountain Village Blvd and across for the Hotel Madeline for $35 per 24 hour period. 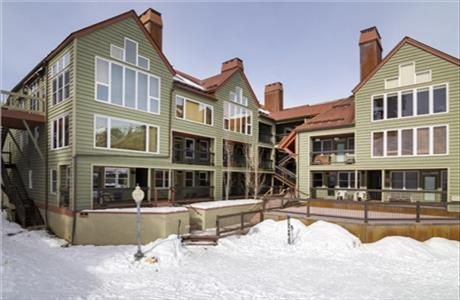 Snug against the base of the ski hill, the Etta Place condos are efficient and convenient. This 1-bedroom/1-bath has just a queen bed and queen sofa-sleeper. 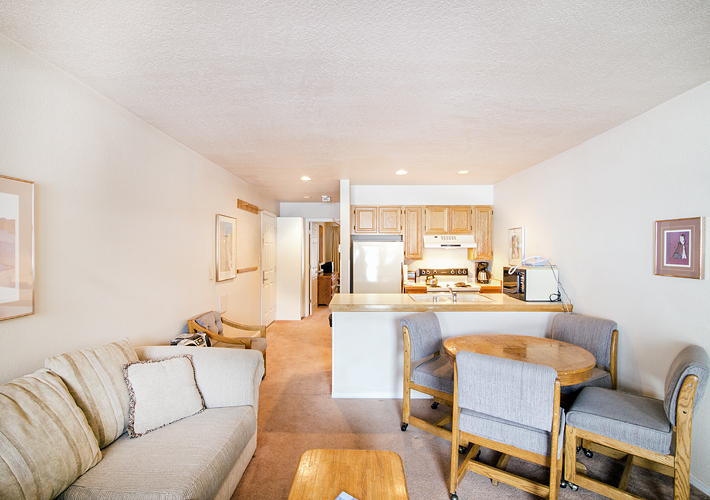 Enter this ground floor unit to find a living room with TV/VHS Player/Stereo, small kitchen and dining area. The bathroom has a shower only. In the bedroom is a queen bed and TV. This unit has internet access. The complex is ski-in/ski-out via Lift #7 (Coonskin lift) and common laundry room. Please note that this condo has NO DESIGNATED PARKING. A parking permit will be provided for one vehicle in the Shandoka parking lot on a first come, first serve basis. Additional parking is available at the Mountain Village Gondola Parking Garage, located behind town hall, for $25 per night. Additional parking is available in the Heritage Parking Garage located off Mountain Village Blvd and across for the Hotel Madeline for $35 per 24 hour period. 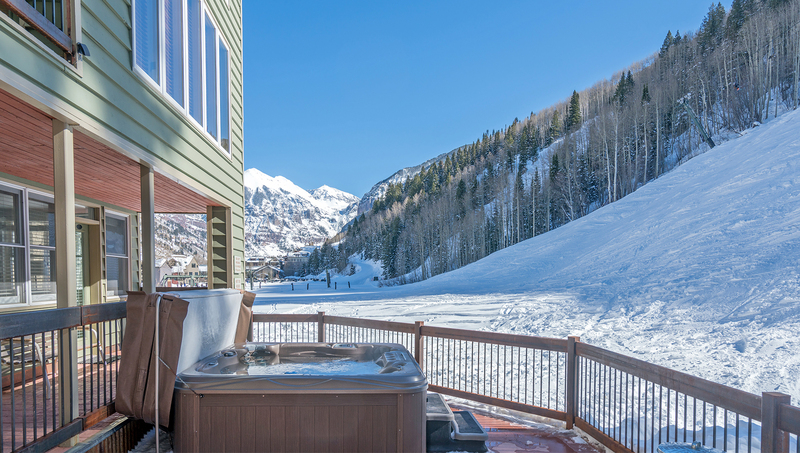 Tucked in at the base of the mountain, Etta Place condos are a great little hideaway in Telluride. This 1-bedroom/1-bath condo has a queen bed and sofa-sleeper. Enter this ground floor unit from the stairwell or from the piazza. In the living room, find a queen sofa-sleeper, TV w/VCR, small kitchen and dinette. The views from the porch to the end of the Box Canyon are striking. In the bedroom, there is a queen bed and TV. The bathroom has a shower only. The complex is ski-in/ski-out via Lift #7 (Coonskin) and common laundry room. Please note that this condo has NO DESIGNATED PARKING. A parking permit will be provided for one vehicle in the Shandoka parking lot on a first come, first serve basis. 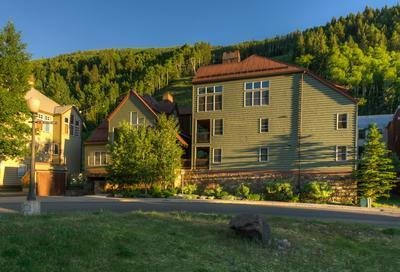 Additional parking is available at the Mountain Village Gondola Parking Garage, located behind town hall, for $25 per night. Additional parking is available in the Heritage Parking Garage located off Mountain Village Blvd and across for the Hotel Madeline for $35 per 24 hour period. The free in-town shuttle stops across the street, though it's only 6 short blocks to the center of downtown.